hour after consuming two dessert spoons of the raw cookie dough, I was back to my leaky self. Well, almost. That night, after feeding, there still wasn’t much happening in the way of a let-down or pumping, but by the next morning ( and about 2 sessions of eating 2 biscuits at a time) my supply had DOUBLED! I poop you not. Doubled, my friends. Doubled. I had gone from 40ml to 80ml in less than 24 hours. This was highly encouraging – as if I needed an actual reason to eat more cookies. I continued my diligent pumping sessions of about every five hours, along with my cookie munching schedule (tough job, I know). Actually, it IS a bit tough when you have a demanding job, with plenty of meetings and still have to fit in a pump session or two. But I am determined to at least get through winter to ensure my baby girl has the best form of immunity to the bacteria and virus war land that is my toddler’s crèche. Now, I can confidently say these lactation cookies work like da bomb for me. (For the recipe I used and also where I found it, have a look here.) They worked much better than any other galactogogue Ive ever tried – and I think I may have tried 80% of them out there. (a post on that here!!) They even worked faster than what fenugreek capsules worked for me. 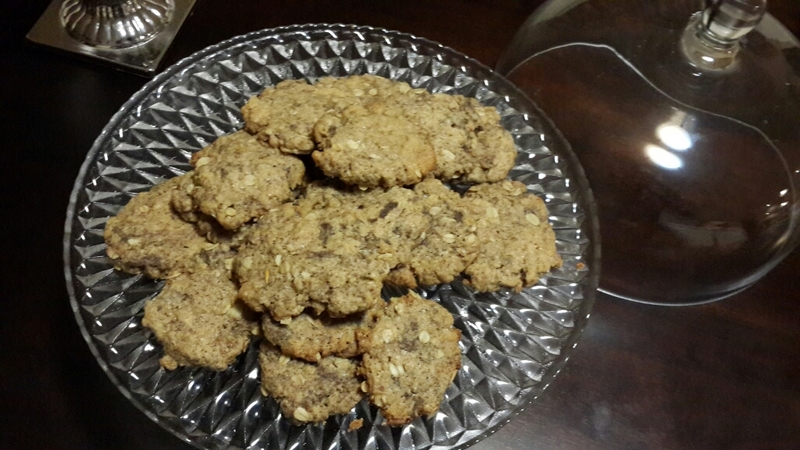 However, these cookies went into super sayan mode when combined WITH fenugreek tablets. I did this with my second batch of cookies I made. I also upped the flaxseed meal by ½ tablespoon and the brewers yeast by about a teaspoon. So if you’re in need of milk supply turbo boost, this combo could just be the thing that does it for you. For even more supportive results, have a look-see at the original site from whence this recipe comes. Clearly Im not a once off case., which is also evident by the comments I received on my original posting of this lactation cookie recipe. Scroll down to the comments area of that post here, if you’re interested in what a few others had to say. Why not go have a look-see at their awesome site? Or even better give this recipe a try and let me know what its done for you! Just remember whatever you choose to use to help increase your supply, understand that breastmilk supply works purely on “supply and demand” basis. So if you’re not constantly and regulalry having the milk removed from the breast, whether by baby feeding or through expressing (thereby creating the “demand”), your breasts will get the message that there’s not much of a demand, therefore will start to decrease the supply. Yes, adding a pumping regime can be tiring, and depending on your circumstances, sometimes just not feasible. But if you’re deadset on getting your milk supply up or even to just it going, this very basic principle is whats going to get your milk back up there. The galactogogues just help you along. I’m going to try this!!! My first baby is three months old and weighs 2 kgs less than she’s supposed to… freaking out a little bit! My doctor’s still calm and even though she would probably rather die than tell someone to stop breastfeeding, she did start looking concerned last weigh-in when she hadnt picked up any weight! I’m doing jungle juice and brewers yeast right now (was picking up, then I got sick), but going to try the fenugreek and cookies as well… desperate here. Thank you soooooo much for your blog, its really encouraging to know I’m not alone. And nice to hear from a South African, not an American like all the other blogs! Hi Febe! Im so glad you came across my blog and I hope that you really do try those cookies. Also search a bit on my blog for other breastfeeding bits. I had such an array of issues, each of which I managed to overcome…all of which ive shared on my blog. Because they worked for me and believe that it will work for many other women. (Perhaps not all, as we all have some small differences in our body) So please check them out. 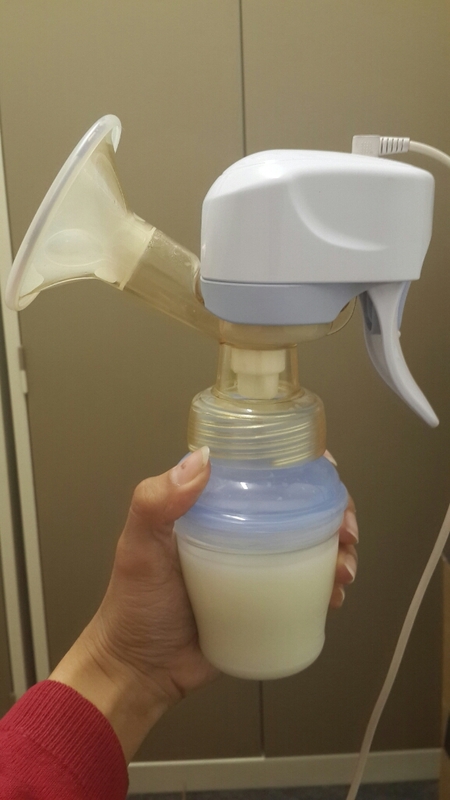 Other bits of advice that I was given and would like to share with you is to get as much rest as possible, drink copious amounts of fluids, AND as difficult as it may be, try to do some laid back mothering ( see herehttps://themilkmemoirs.wordpress.com/2015/11/16/mastitis-my-personal-slice-of-breastfeeding-hell-and-how-to-remedy-it/) You may not have mastitis but that style of bfeeding made that my baby picked up so quickly over the next few weeks post birth. And maybe ditch any feeding schedules and let, as far as possible, baby drink for any and all reason. (The schedule is mostly only helpful to ensure that baby doesn’t go LONGER than 2 to 3 hours without milk.) So if baby wants to drink every 30 min, so be it. May be tiring – like “shoot me now im dead tiring”- but its moatly short lived and it may cery well give you the results you’re looking for. Lastly yes, I know what you mean about the US blogs. There are plenty very helpful ones, but its even more helpful when its from one’s own country so you know that those products and resources are also available.